Inkgard software installs easily on your PC and works behind-the-scenes to reduce the amount of ink or toner used by up to 75%... while maintaining excellent print quality. 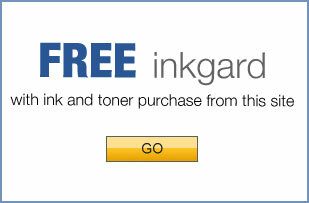 While Inkgard software will work with any cartridge brand, it is FREE with purchase of any Inkgard brand cartridge. This Free offer is limited to one download subscription per customer per year. Using Inkgard Software AND Inkgard Cartridges can increase your savings to 95% overall and more! Compatible with any Printer, Ink and Toner Cartridge!